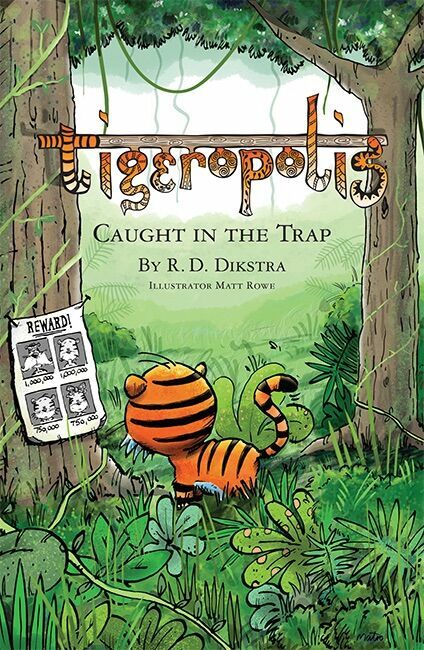 Last week I was tasked with coming up with a couple of games for my son's school's Christmas fair. 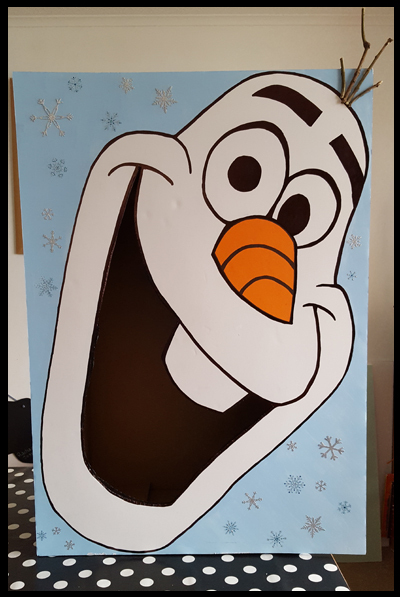 As his TMNT party game went down so well last year at his birthday I decided that "we" could create a similar Olaf game. 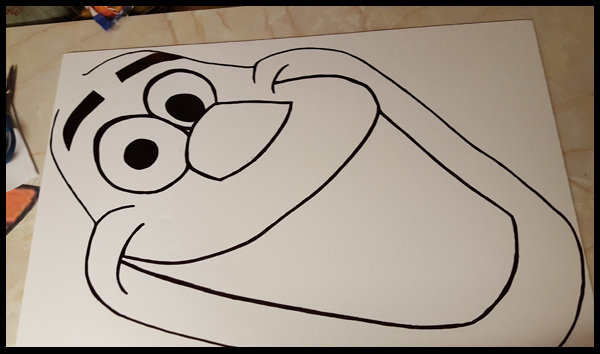 I wanted black A1 foam like I had used on Leonardo and use white A1 paper as the template, but unfortunately, Hobbycraft had sold out, so I opted for white A1 foam board but I wasn't sure at that stage how this would work, how Olaf would stand out. 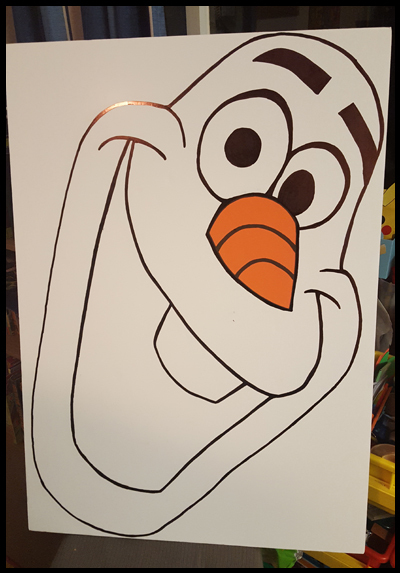 I used an image of Olaf's head and split the image into 16 A4 pieces, cut them out and then taped them together to make an A1 template to draw around. 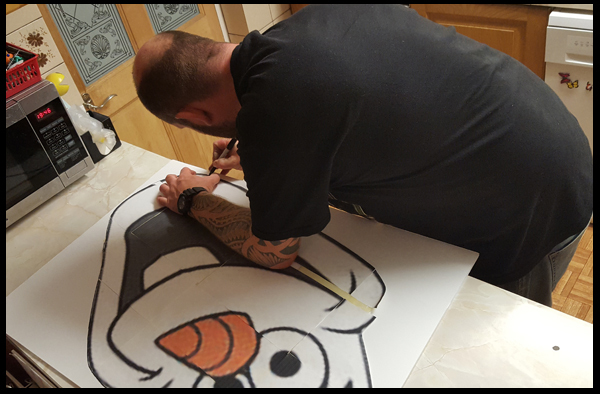 To make the carrot nose stand out we used an A4 piece of orange card and filled in the gap at the top of the head so we can add real twigs for hair. 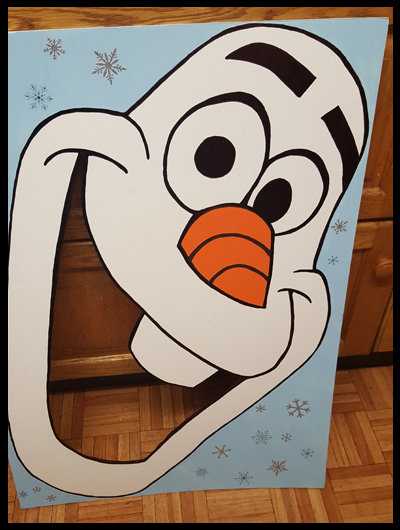 I originally wanted to cut around Olaf's head, to make him stand out but this would have weakened the foam considering the size of Olaf's mouth which was also going to be cut out! 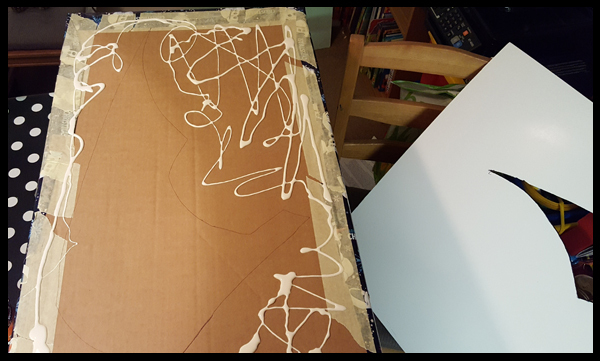 So I opted for painting the background instead and decorating with leftover snowflakes from my advent calendar. 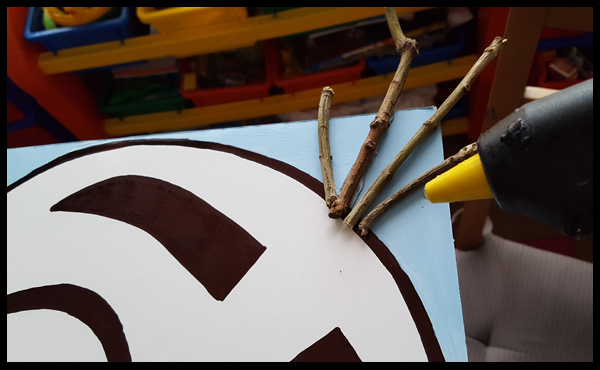 I cut the mouthpiece out with a craft knife and coloured in the edges with a black pen and Olaf less the twigs was pretty much complete. With my son's game, we put the board on two chairs, which didn't work well when someone decided to use the chairs for what they were made for... to sit on! 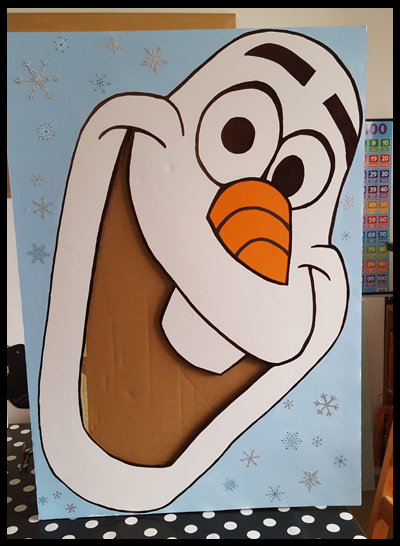 So just in case this happened to Olaf I added a box behind him to make him stand up on his own. 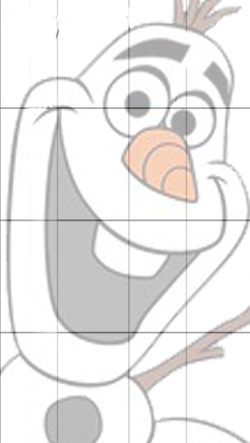 This did mean I had to cut Olaf's mouth out for the second time. I glued real twigs on to his head to finish off the look, I hope they stand up to the softballs that will be thrown at him next week! My chief games tester put Olaf through his paces and it turns out beanbags are not advised as they dent the foam - soft balls it is then. Oh that's a shame. 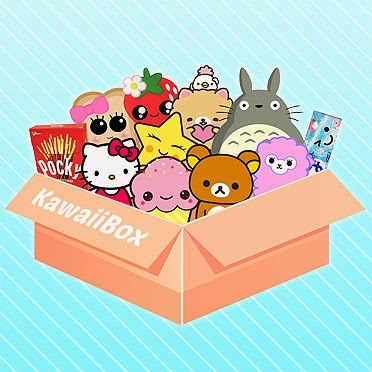 It's uploaded directly on to blogger, I can see it but it might just be because I uploaded it.